PENRITH Swimming Club sent 16 competitors to the 18th annual Griffin Gala, for nine to 12-year-olds, held at Copeland swimming pool on Saturday. Copeland ASC set up this gala in recognition of Bill and Monica Griffin, to enable younger swimmers to compete in five sprint events, 50 metres freestyle, backstroke, breaststroke and butterfly, and the 100 metre individual medley. The top six finishers for each event for both girls and boys received medals for first, second and third places and ribbons for fourth, fifth and sixth. Penrith swimmers Caitlin Poulson, Kes Fountain and Solomon Johl each received ribbons, with Jake Fabi achieving medals and ribbons in all five events. The team performed well, recording numerous personal best times. 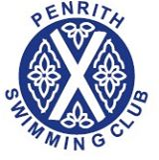 Anyone interested in joining Penrith Swimming Club should speak to a club official on Wednesdays from 6-15pm at Penrith Leisure Centre. Penrith team members were Caitlin Poulson, Carys Benn, Connor Mattinson, Emily Ellwood, Emily Guthrie, Evie Fleming, Evie Jamieson, Jake Fabi, Jessica Woodhouse, Joel Parkinson, Kes Fountain, Lois Turner, Maia Johl, Saffea Armstrong, Solomon Johl and Thomas Turner.